What is Volkswagen accused of? VW has had a major push to sell diesel cars in the US, backed by a huge marketing campaign trumpeting its cars’ low emissions. The EPA’s findings cover 482,000 cars in the US only, including the VW-manufactured Audi A3, and the VW brands Jetta, Beetle, Golf and Passat. But VW has admitted that about 11 million cars worldwide are fitted with the so-called “defeat device”. Full details of how it worked are sketchy, although the EPA has said that the engines had computer software that could sense test scenarios by monitoring speed, engine operation, air pressure and even the position of the steering wheel. When the cars were operating under controlled laboratory conditions – which typically involved putting them on a stationary test rig – the device appears to have put the vehicle into a sort of safety mode in which the engine ran below normal power and performance. Once on the road, the engines switched from this test mode. What has been VW’s response? The case against VW appears cast-iron. “We’ve totally screwed up,” said VW America boss Michael Horn, while group chief executive Martin Winterkorn said his company had “broken the trust of our customers and the public”. An internal inquiry has been launched. 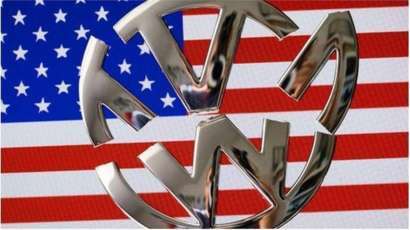 With VW recalling almost 500,000 cars in the US alone, it has set aside €6.5bn (£4.7bn) to cover costs. But that’s unlikely to be the end of the financial impact. The EPA has the power to fine a company up to $37,500 for each vehicle that breaches standards – a maximum fine of about $18bn. Legal action from consumers and shareholders may follow, and there is speculation that the US Justice Department will launch a criminal probe. How widespread are VW’s problems? What started in the US has spread to a growing number of countries. The UK, Italy, France and South Korea, Canada and, of course, Germany, are opening investigations. Australia says it is monitoring the situation. Throughout the world, politicians, regulators and environmental groups are questioning the legitimacy of VW’s emissions testing. France’s finance minister Michel Sapin said a “Europe-wide” probe was needed in order to “reassure” the public. At this time, only cars in the US named by the EPA are being recalled, so owners elsewhere need take no action. However, with about 11 million VW diesel cars potentially affected – 2.8 million cars in Germany itself – further costly recalls and refits are possible. Half of the company’s sales in Europe – VW’s biggest market – are for diesel cars. No wonder the carmaker’s shares plunged around 30% in the first couple of days after the scandal broke – with other carmakers also seeing big falls in their stock prices. 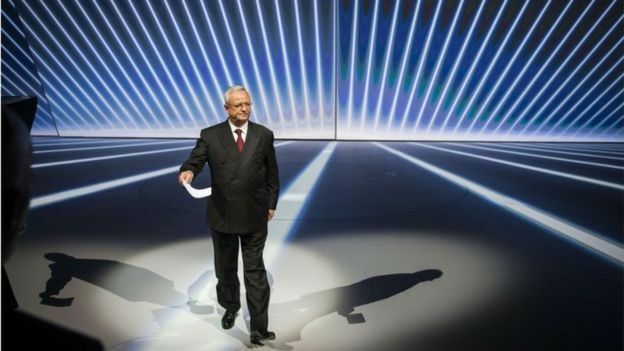 Chief executive Martin Winterkorn has resigned, although he denies wrongdoing. It’s still unclear who knew what and when, although VW must have had a chain of management command that approved fitting cheating devices to its engines, so further departures are likely. Christian Klingler, a management board member and head of sales and marketing is leaving the company, although VW said this was part of long-term planned structural changes and was not related to recent events. 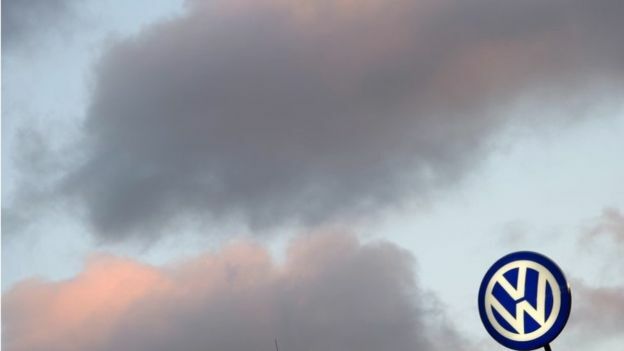 In 2014, in the US, regulators raised concerns about VW emissions levels, but these were dismissed by the company as “technical issues” and “unexpected” real-world conditions. If executives and managers wilfully misled officials (or their own VW superiors) it’s difficult to see them surviving. That’s for the various regulatory and government inquiries to determine. California’s Air Resources Board is now looking into other manufacturers’ testing results. Ford, BMW, and Renault-Nissan said they did not use “defeat devices”, while other firms had yet to respond or simply stated that they complied with the laws. Car analysts at the financial research firm Bernstein agree that European standards are not as strict as those in the US. However, the analysts said in a report that there was therefore “less need to cheat”. So, if other European carmakers’ results are suspect, Bernstein says the “consequences are likely to be a change in the test cycle rather than legal action and fines”. Certainly is. Over the last decade and more, carmakers have poured a fortune into the production of diesel vehicles – with the support of many governments – believing that they are better for the environment. Latest scientific evidence suggests that’s not the case, and there are even moves to limit diesel cars in some cities. Diesel sales were already slowing, so the VW scandal came at a bad time. 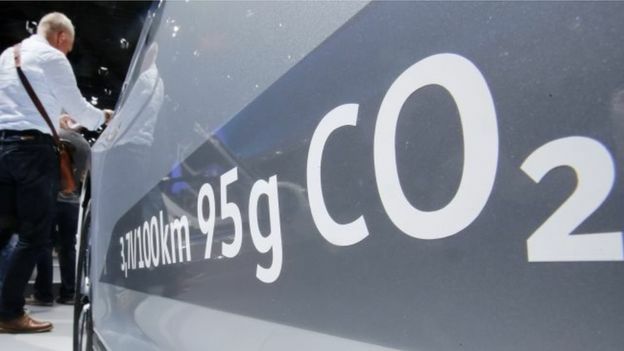 “The revelations are likely to lead to a sharp fall in demand for diesel engine cars,” said Richard Gane, automotive expert at consultants Vendigital. “In the US, the diesel car market currently represents around 1% of all new car sales and this is unlikely to increase in the short to medium term. ← Human rights seminar on Shariah?